The Memorial Candle Program has been designed to help offset the costs associated with the hosting this Tribute Website in perpetuity. Through the lighting of a memorial candle, your thoughtful gesture will be recorded in the Book of Memories and the proceeds will go directly towards helping ensure that the family and friends of Marilyn Stavenger can continue to memorialize, re-visit, interact with each other and enhance this tribute for future generations. Rev. Dr. Marilyn L Stavenger on Wednesday January 30, 2019. Marilyn Louise Stavenger was born to a farming family in Windham, Ohio. The youngest and only daughter, she grew up with a love for the outdoors, animals, and people, and raised her tuition for Hiram College by tending, shearing, and selling the wool from her own flock of sheep. In college Marilyn, who grew up in the church, discerned a call to ministry. Upon graduation from Hiram she applied and was accepted to Yale Divinity School, one of only two women in her entering class. From that beginning, she became a pioneer of women’s leadership in the UCC and leader in many spaces of the developing progressive Christian movement. Marilyn’s first call to ministry was to serve as Associate Pastor of Park Church, UCC in Toledo, Ohio. From that position, she was promoted to Team Minister and ultimately Senior Pastor. Over her 26 years at Park UCC, Marilyn developed her skill and passion as a pastor, administrator, and community leader. She made strong connections with many different organizations working for racial and socio-economic equity. In 1981, she collaborated to found Hospice of Northwest Ohio, and engaged with organizations like the YWCA and United Way to broaden and strengthen the ministry of Park UCC in the community. Marilyn’s leadership in the UCC caught the eye of theological educators at Eden Seminary. She was invited to join the Board of Trustees, and from that role she developed a love for the school and its mission. Embarking on a D. Min at San Francisco Theological Seminary, conferred in 1992, Marilyn was invited to join the Eden Faculty as Professor of Field Education (Contextual Education). For 16 years until her retirement Marilyn led the Eden faculty to see learning in the context of ministry as central to the curriculum, a value that continues to this day. Colleagues and students alike remember her as an advocate for justice, a caring pastor, and an incisive and challenging teacher. 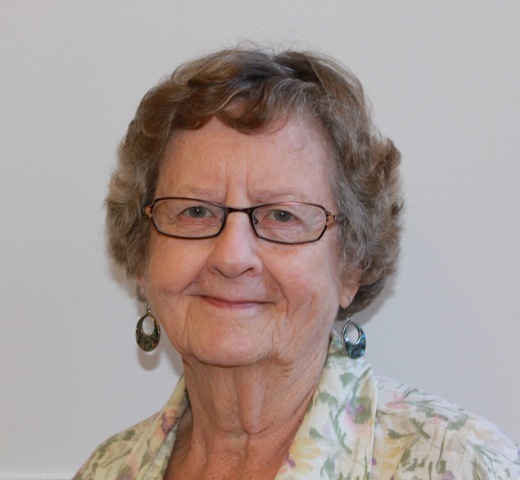 Among the highlights of her “retirement” as Faculty Emerita are that she taught UCC Polity, served as an advisor to Eden’s LGBTQI student group, led small groups in Pastoral Theology and Care, and served as Acting Dean in 2009. During her time in Ohio, Marilyn made deep friendships, which she nurtured over the years and across distance. As a single person, she was welcomed to Toledo by the Schick family with whom she lived for several years, and her friendship with Marge remained a touchstone. This pattern of opening the family and expanding the home was one Marilyn would carry and model throughout her life. While in Toledo, Marilyn met Jean Thomas who became widowed. When Marilyn moved to St. Louis, she and Jean made a beautiful home together. They enjoyed travel, friendships, Pilgrim Church UCC, dogs, and the garden. On Jean’s death in 1996, Marilyn continued in deep relationship with the Thomas family, maintaining connection and cherishing visits with one another up to this past fall and Christmas season. In 1997 Marilyn joined Peace (then Evangelical) UCC. There she served on the church council (including as President), and on the support staff team with the pastor. She was an active member in the Mary and Martha Circle, a passionate advocate of education and justice ministries, and a leader in the church’s decisions to become an Open and Affirming congregation and a Children’s Defense Fund Freedom School site. Marilyn’s contributions to the UCC are myriad. Some highlights include her service as Director of the Office of Church Life and Leadership, and her membership of the EUK/UCC working group, inclusive of participation with delegations to and from Germany. During her over 30 years in St. Louis, she served the STL Association of the UCC on the Committee on Church and Ministry, and as a vital part of the Gateway Open and Affirming Commission. Marilyn valiantly faced her cancer diagnosis and death. For over six years with her remarkable medical team at BJC, Missouri Baptist Oncology, she engaged in myriad treatments, protocols, and clinical trials. She chronicled this proactive and innovative approach in her Caring Bridge Blog posts where she also shared her everyday delights of her garden, birds, visits with friends, dogs Cinder, Snowball, and Rufus, watching the STL Cardinals win and lose, and among her Peace UCC and Eden families. Marilyn was a faithful disciple of Jesus Christ. She lived eucharistically, breaking open her gifts, giving thanks to God, and building community. She walked the talk of her practical theological teaching. She modeled trust in God and love for neighbor in all her life and living. For such a saint to be among us, we say thanks be to God! Memorial Service, Saturday February 16, 2019, 1pm at Peace United Church of Christ, 204 E Lockwood Ave Webster Groves, MO. Reception of pies and stories immediately following at Wehrli Chapel, Eden Seminary.